It’s not often a YouTube video about an Amazon service can bring a tear to your eye. 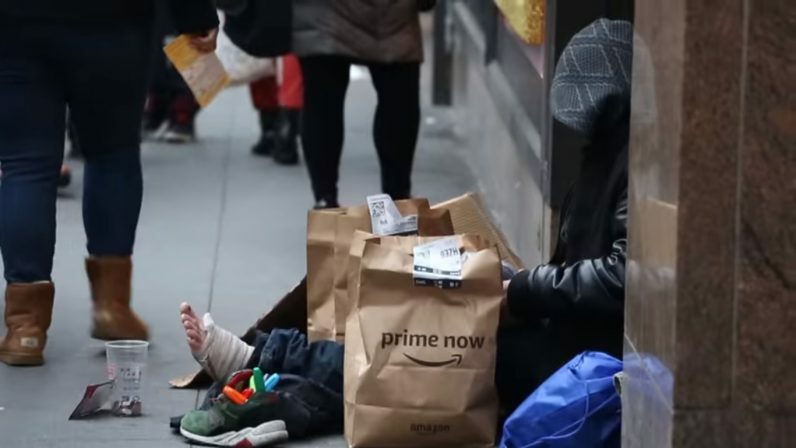 In what may be a first for us here at TNW, we found one in uploader Rob Bliss‘ quest to find out if Amazon Prime Now could be used to send gifts to the homeless. It’s amazing to see the indomitable human spirit on full-display. If you’ve lost some faith in humanity this year, for whatever reason, take four minutes to watch the above video. In it, Bliss tests out Amazon’s Prime Now service, which promises to deliver some items in mere hours instead of the standard two days. He wants to know if the service can be used to send a homeless person the specific items they need. Say you’re on your way to work and you find someone who could really use a sleeping bag. One, where are you going to find one of those. And two, even if you find it, buy it, and deliver it aren’t you now gonna be late? So you end up with thousands of people walking by a guy with no socks on in the middle of December. And while some among us may cry foul, questioning why beggars won’t just work for what they want, there are many others willing to spread kindness instead of suspicion. Watching the Amazon products delivered is a rare delight – it’s living proof that humans can find a way to use any tool as an instrument for goodness. It was actually really simple. I’d simply use Google maps to get an address from the closest building to where the person was seated, and send the courier that way with the special instructions. I’ve been interested lately in exploring how apps can be repurposed, particularly to start conversations about social issues. My goal was to get people to see the possibilities of some of these services for alternative means. If nothing else puts you in the holiday spirit, watch a stranger deliver much-needed gifts (from another stranger) to a veteran. The response has been pretty positive, I was worried people would think I was paid by Amazon but people haven’t really pushed that narrative, which is good because it wouldn’t be true. Very happy with the response so far.